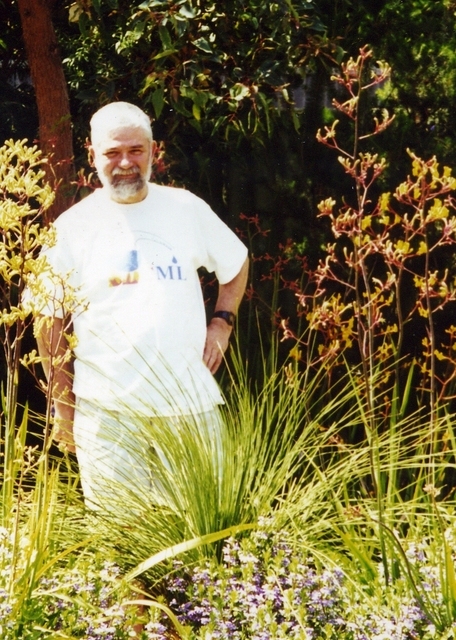 Peter Murray-Rust visiting Perth in 2000. 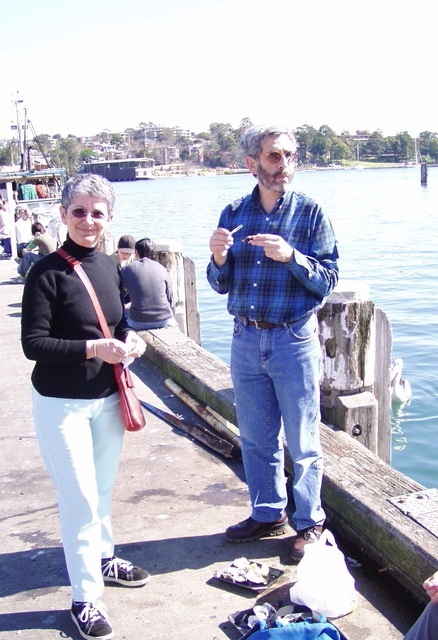 Ruth and Mitchell Guss in Watson's Bay Sydney in 2003. 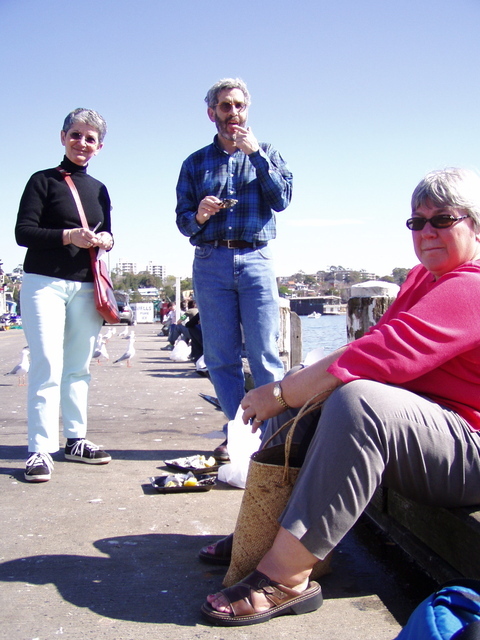 Ruth and Mitchell Guss with Cynthia Stauffacher on Sydney Harbour in 2003. 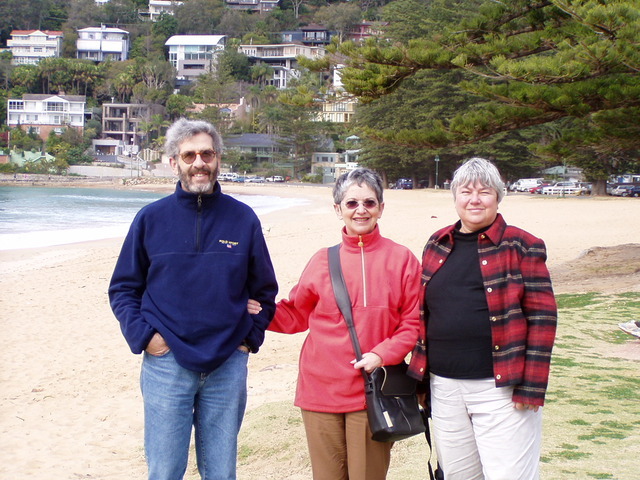 Ruth and Mitchell Guss with Cynthia Stauffacher on Watson's Bay wharf Sydney in 2003. 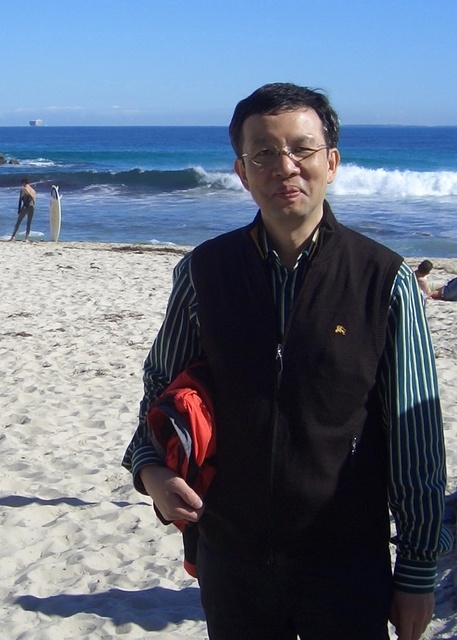 Keiichiro Ogawa on Cottesloe Bearch, Perth in 2007. 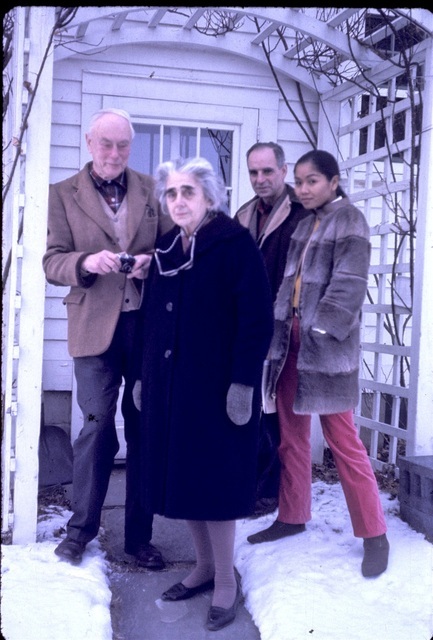 Paul and Ella Ewald, ?, Edith Freeman. Dave Wadsley giving a talk. ?, ?, Dave Wadsley in his CSIRO laboratory. Ken Fraser, Mel Fehlmann, John Blout. 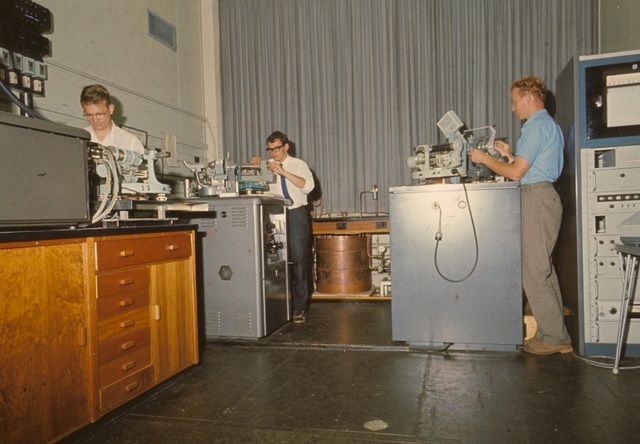 University of Sydney Laboratory 1965. Chuck Hartzell, John Bell, Mike Barnet, Mitch Guss. 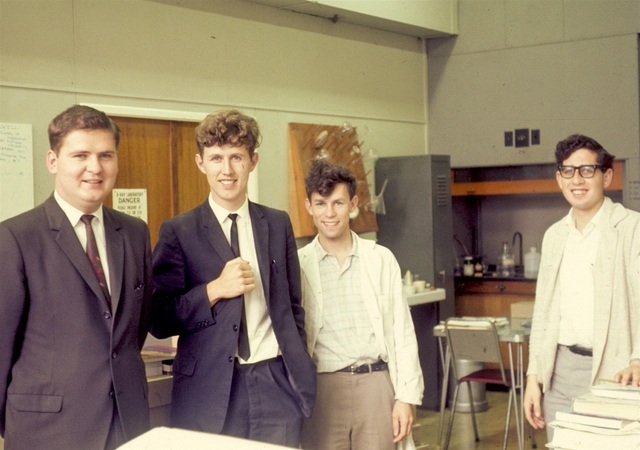 University of Sydney Laboratory, 1967. 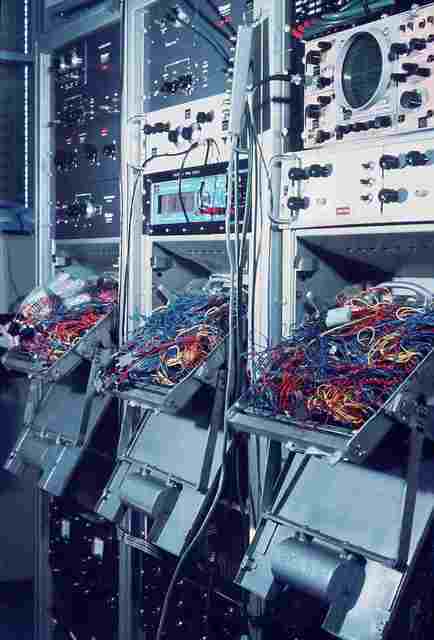 Plug board interface between a PDP6 time-shared computer at University of Western Australia and a Hilger-Watt diffractometer, 1967. Biswanith Mukerjee, Syd Hall, Ted Maslen. 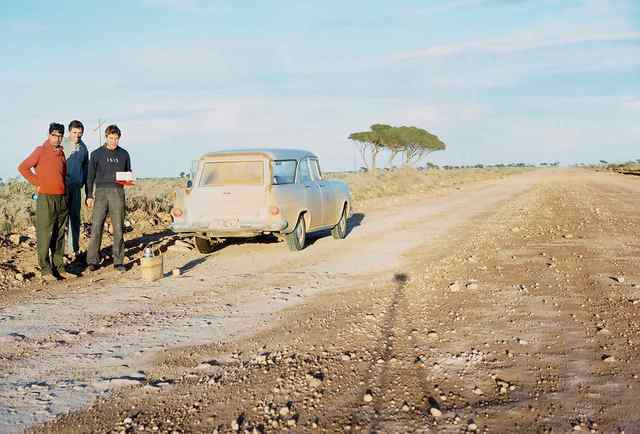 Members of the University of Western Australia Laboratory en route to the CRYSTALS V Meeting in Melbourne, 1967. PDP6 computer at University of Western Australia. 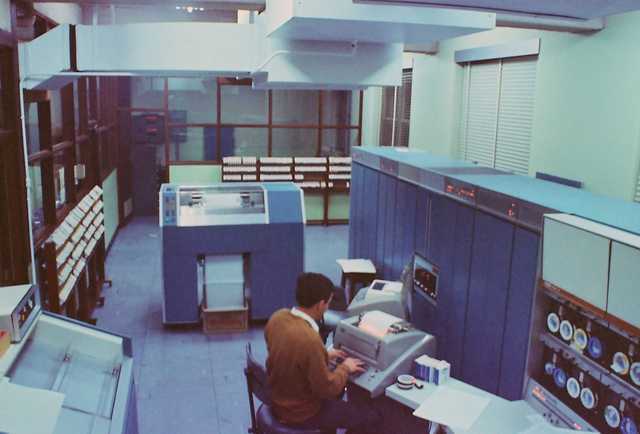 Syd Hall programming real-time interface to a Hilger-Watt diffractometer, 1967. 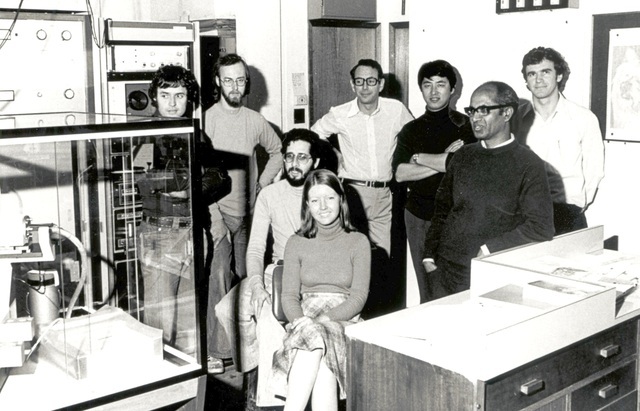 1976 at Sydney University Chemistry School: Peter Colman, John Ramshaw (standing), Mitchell Guss and Valerie Norris (seated), Hans Freeman, Mike Murata, M. P. Venkatappa, David Ollis. 1993 at the CSIRO lab Melbourne. 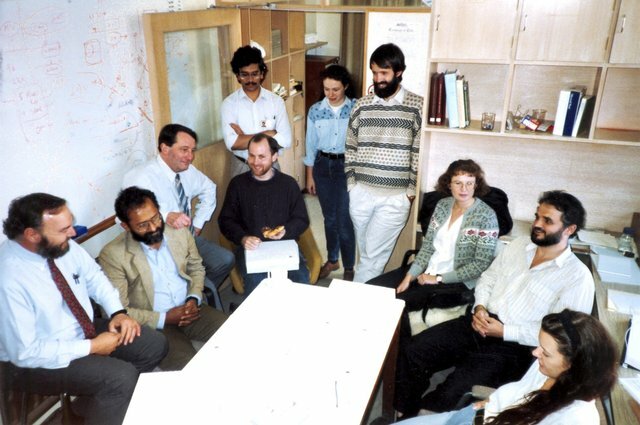 Seated: Paul Davis, Jose Varghese, Peter Tulloch, Bill Tulip, Robyn Malby, Tom Garrett, Tina Ezard; standing: Vidana Epa, Airlie McCoy, Mike Lawrence.